Federal and State laws protect your access to emergency care regardless of your current insurance status. These laws also protect your ability to access affordable emergency care by allowing Neighbors Emergency Center to bill at your current in-network rates to limit your out of pocket expenses. This is a result of the Affordable Care Act protecting your decision to seek emergency care deeming emergency services an essential health benefit. Co-pays, Co-insurance and deductibles apply as in traditional hospital based emergency departments. At Neighbors Emergency center we do not practice balanced billing. This means that we will not send you a bill for the outstanding balance not covered by your insurance carrier, other than the amounts associated with your copay, deductible, and co-insurance. 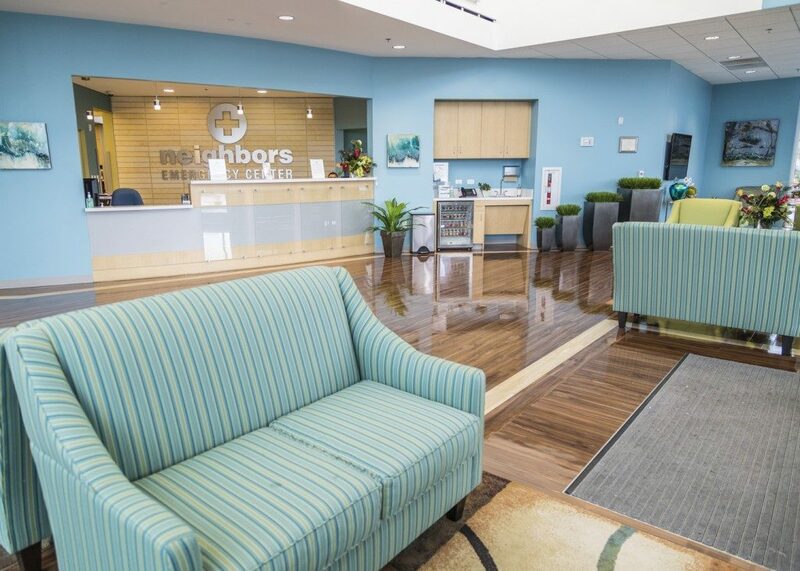 Neighbors Emergency Center will work with individuals without insurance to limit their out of pocket expenses. At Neighbors we understand that healthcare billing can often be a complicated, drawn-out, confusing process which is why we are available to assist you with any of your billing concerns. You will never be subjected to hidden costs or fees due to our transparent billing practices. Please call us at 844-406-7263, and we will be happy to answer any questions you may have. If you are experiencing difficulties in dealing with or understanding your health insurance company, or if your insurance company refuses to pay for your emergency treatment, please call us at 844-406-7263. View or download the chart below for a more in depth look at what services a Freestanding Emergency Room offers compared to a Urgent Care facility. At this time we are unable to participate in CMS (Medicare and Medicaid). We are actively in the process of lobbying for CMS recognition so we may care for all CMS beneficiaries.